Software tweaks is that the method of raising the performance of associate application or the standard of its output. There are often 2 ways that can be accomplished, by manually or with another piece of software package specialized for the tweaks. W7Tweaks offers specific tools for some special tasks which inbuilt windows does not have, like giving full control permission to administrator user, making windows files and folders organized and protect your hard drives from third party users. W7Tweaks - Grant Admin Full Control, have the ability to give the administrator user full control over files or folder in order to take ownership of that specific file or folder which works with Microsoft Windows versions 7 to 10. Thus it can be modified or changed according to the end user's needs. W7Tweaks - Generate folder, make files to a single folder with a single click from the context menu of the file or folder which works with Microsoft Windows versions 7 to 10. Files to folder or folder to folder can be done with Generate folder. W7Tweaks - Windows Drive Hider, helps administrators to hide windows hard drives from the third party users who use on same computer which works with Microsoft Windows versions 7 to 10. It helps to hide or unhide the drives with a single click. 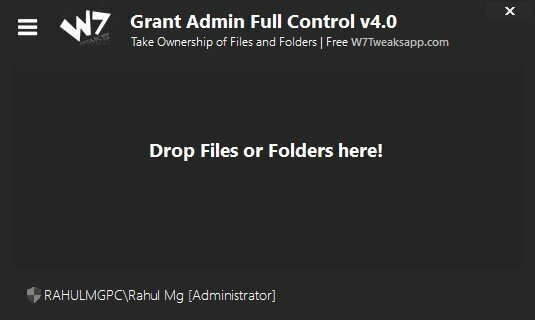 Grant Admin full control helps to take ownership of files or folders which works with Microsoft Windows versions 7 to 10. Included feature Drag & Drop. Easily access from the context menu. Generate folder works with simple right click with the file that you want to put in New Folder with same name and multiple files in different folder/directory or separate folders from windows explorer. 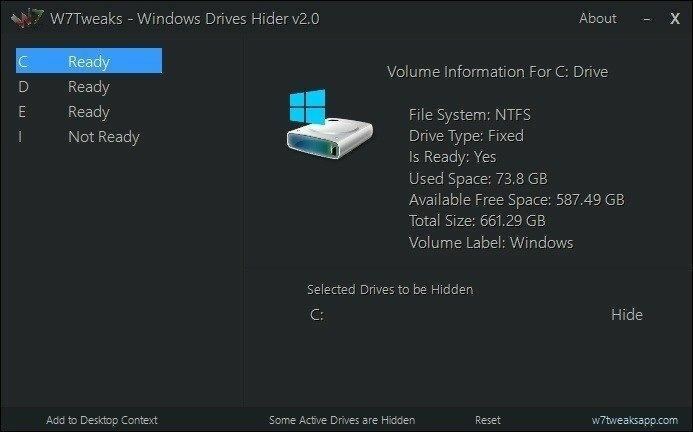 Windows Drive Hider helps to hide active drives with a single click which are visible to all users. 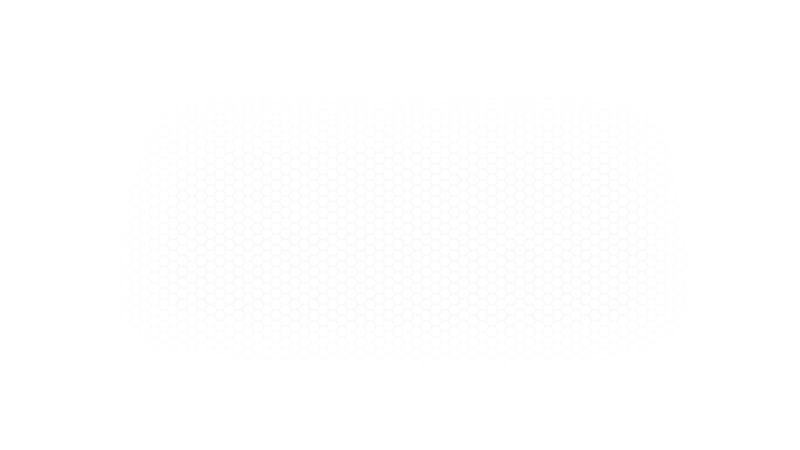 Softpedia guarantees that Windows Drive Hider is 100% Clean.